In 1987, Sarah’s House was established through a unique partnership between Anne Arundel County, Catholic Charities, and the U.S. Army. The mission was to provide shelter and opportunities to families experiencing homelessness in Anne Arundel County with the goal of restoring independence. Sarah’s House has served as a model of how non-profit and government agencies can work together to improve lives. Today, Sarah’s House offers emergency shelter, supportive housing, and rapid re-housing services for families experiencing homelessness. Serving up to 125 people daily, half of whom are children, our goal is to affect positive change in families by providing a range of services and support. Our guests are provided intensive case management, employment preparation, behavioral health services, transportation to/from work and doctor’s appointments, as well as employment and life skills classes. Our services have continued to keep pace with the requirements of achieving self-sufficiency in Anne Arundel County. Our dedicated staff is focused on supporting guests through the entire transition of living once again on their own. View or download our latest brochure. Sarah’s House provides support services, emergency shelter and project-based housing to women, men and children who are experiencing homelessness in Anne Arundel County. 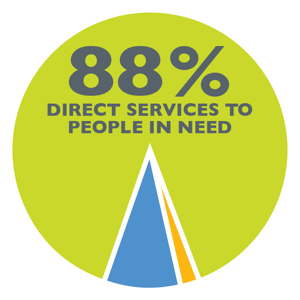 By participating in the County’s Continuum of Care Homeless Partnership, we offer critical services that help clients gain employment, increase their earning capacity, find stable housing and achieve long-term sustainability. Sarah’s House is one of four shelters in the United States supported by the U.S. Army. Eligibility for Sarah’s House programs is determined by the Anne Arundel County Department of Social Services. The Childcare Center at Sarah’s House serves as a nurturing oasis for children in families experiencing homelessness. The dedicated staff and volunteers understand the special needs of these children and strive to provide a safe and supportive environment that will give the child a much-needed place of security, acceptance, and learning while their parents work, attend classes or seek employment. In early September 1992, the Child Care Center at Sarah’s House opened its doors to our first eight children. We quickly learned that merely furnishing fun and educational activities each day would not be our sole function. Many of our parents received little parenting themselves, and one of our most important tasks has become teaching them by example how to nurture and enjoy their children. This task has grown as our population has increased. The Center is now licensed by the Maryland Department of Education to enroll 40 children, ages 6 weeks through 5 years, and 17 school-age children. The school-age program has its own space and outdoor activity area. Our center is full of lively, curious children working on projects and bonding with the adults they are learning to trust. The children, their parents and those who work with us give us renewed faith in the great promise possible for our future. This is a place where each person is loved and valued, and where both children and adults can find security and purpose.